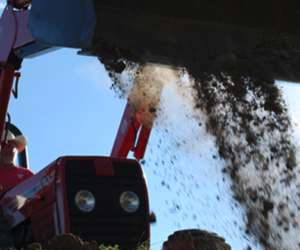 At Lanterman Tractor, we know two things well – we know Tulsa, and we know dirt. Lanterman Tractor is Tulsa's most trusted name in all things about landscaping and tractor work. Our dedicated staff has the tools necessary to get your commercial or residential projects done right. They showed up when they said they would be here and were flexible when I needed them to be. I really can't imagine that anybody would out-perform them. I'm really glad we went with these guys. They didn't do what we thought we needed, but came up with a great alternative that we would never have thought of. Everyone was very polite, honest, on time and fair they also made sure our yard was clean when they left. I would use them again. I trust that this man would go out of his way to please no matter the job. I would recommend Bill to anyone who appreciates fast, courteous service with excellent follow-up. He's not happy until you are. Excellent job done, and very timely. I would certainly use Lanterman Enterprises again. Did what I asked when I wanted it done in a timely fashion. Couldn't ask for much more than that. These guys are real pros. If you need something done right, I highly recommend Lanterman. Looking for the right fit for your commercial or residential dirt work project? We love to play in the dirt. Finding the right contractor for your project isn't easy. Lanterman Tractor is Tulsa's most trusted name when it comes to commercial and residential tractor work. From box blading to brush clearing, tilling to trenching, plowing to pad sites, we can do it, and do it right. We apply expert landscaping solutions in Tulsa, OK, for complex problems like drainage, grading, and everyday regulation compliance. Let us put our years of experience to work for you. Does your landscaping need a lift? We make beautiful lawns. It's no question, aesthetics are important. For a lawn that stands out (link to Home & Lawn) from your neighbor's, you need to start with the basics – the dirt. From the soil to the sod, let us rebuild your lawn from the ground up. Concerned about drainage? So are we. We will make sure your lawn drains properly so you don't have to worry about water problems later. Be sure to ask about our french drains. Trust the experts, you'll be glad you did. 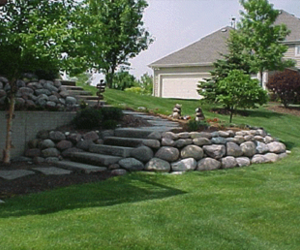 Over 30 Years experience with tractor work and landscaping. We want your return business, so we do the job right, the first time. Drains to ditches, we do it all. Copyright © 2019 Bill Lanterman Enterprises. All Rights Reserved.